To get a building's foundation problem repaired permanently, the first step is to find the root cause of the problem, so you know exactly what's needed to fix it. At Premier Basement Systems (formerly Timbercreek Northwest, Inc.), our team of foundation repair specialists are here to fix your foundation problem. Our experts have the training, products and know-how needed to fix the foundation problem quickly and effectively. To meet with our foundation experts for a written foundation repair quote in Idaho or Washington, contact us today! Our estimates include a home inspection and consultation with our specialists. And our estimate comes to you at no obligation and is completely free. Problems such as buckling walls, sagging floors, and drywall cracks can be upsetting to see in your home and can drive down the value of your home too. 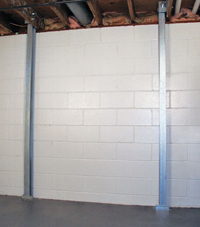 The foundation repair systems used at Premier Basement Systems were created not just fix your home permanently but also to bring your house back to its original positioning. No matter the reason you're seeing foundation problem in your building or house, we can help pinpoint the problem and find you a solution. We will do a thorough home inspection to see what's happening with the structure and give our recommendations on what's needed to permanently stabilize the foundation. To get your FREE foundation repair quote in Spokane, WA, Spokane, Coeur d'Alene, Post Falls, Sandpoint, Hayden, Cheney, Veradale, Rathdrum, Deer Park, Mead, just contact us today.